Enhance the entrance of your home and protect your property at the same time from the extremes of today’s changing climate. 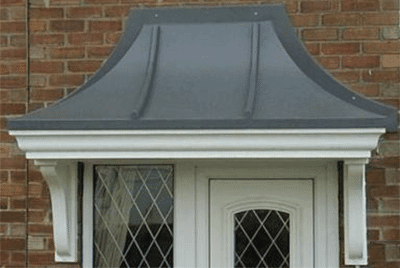 See below for a small selection of canopies that are available to you, or bring a small part of your garden indoors with our GRP garden room roofs. Enhance the entrance of your home and protect your property at the same time from the extremes of today’s changing climate. 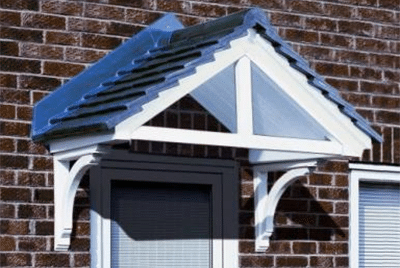 Our door canopies have been designed to add kerb appeal & value to any home. We produce a range of designs to suit all homes regardless of the age or style of the property. 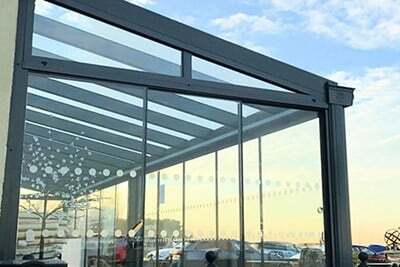 These overdoor canopies will transform and enhance any entrance with the minimum of installation, and the maximum of appeal. 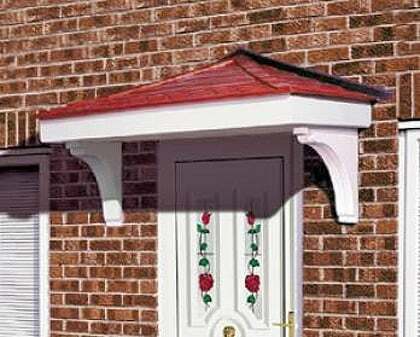 Manufactured from rigid Glass Reinforced Plastic our products provide an easily fitted substitute to the traditionally built canopy. Designed for ease of installation, these canopies can be installed in a fraction of the time of the genuine item. These canopies never rot and require no painting. Totally maintenance free, they simply require an occasional wipe down with soapy water to maintain their outstanding looks. Shown with Fleur de Lys option, black frame and terracotta tiles. Made in strong rigid fibreglass, transforms and protects any door way. Available in whitegrain and woodgrain. Fitted in minutes, totally maintenance free. A realistic rolled lead-topped door canopy. Suitable for bay tops. Smooth white fascia and soffit with traditional detailing. Our beautiful Portico will enhance your home and protect you and your property from the extremes of today’s climate. 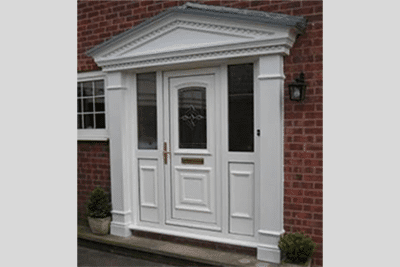 Designed for fast fitting, with plain or fluted columns and custom plinths to suit your door way. Totally maintenance free and fully guaranteed for 10 years. Designed to make life easier! One-piece leak-proof moulding. Built in gutter system and lighting duct. Available in 3 shades of white, brown and light oak. Fitted in minutes not hours, totally maintenance free and fully guaranteed.